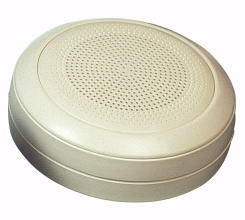 BLC550T 6W 70/100v plastic circular surface mount cabinet speaker. Often used for voice alarm, back ground music and public announcements. The speaker is easy to install and easy to terminate.